Years ago when I was deep in recovery from chronic illness, I read an article about Mimi Kirk. Raw foods had been a boon to my healing journey, and I was a sucker for a good transformation story. Her youthful energy and exuberance for raw foods made me an instant fan. In a society where people grow increasingly sicker and often spend much of their final decades in failing health, it was refreshing to read about someone in her 70s who so emphatically chose wellness and vitality. 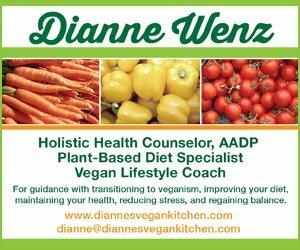 I’ve used raw foods as a healing tool, a palate reset, and most importantly, as inspiration for sustaining lifelong healthy habits. Concern over purity and perfection – whether with food, one’s body, or both – in a raw food lifestyle is a fairly common but misguided preoccupation. 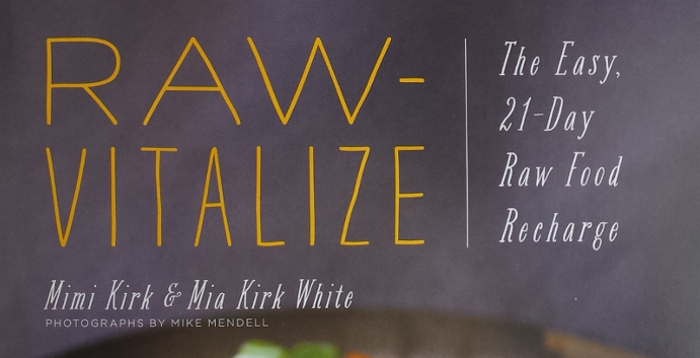 I was so pleased to see my sentiments echoed in the newly-penned book by mother-daughter team Mimi Kirk and Mia Kirk White entitled Raw-Vitalize: The Easy 21-Day Raw Food Recharge. The book begins with the inspiring yet also relatably down-to-earth stories of both authors. There’s nothing like reading through a book and thinking, “Hey, I can do this, too!”. Their stories transition into a chapter in which they answer (and assuage) common concerns such as, “Will I be hungry?”, and they also provide helpful tips for busy people – which everyone seems to identify as these days! I also love that they include a few holistic tips that make the 21-day recharge even more effective. 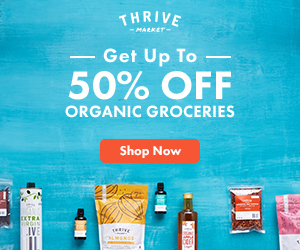 As with many programs like this one, they lay out all of the preparation details such as pantry staples, grocery lists, required equipment, and meal plans for all 3 weeks. 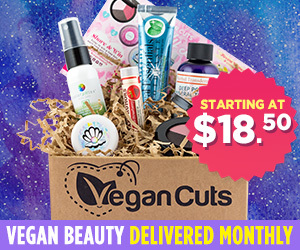 They make it really easy and also leave wiggle room for customization from day to day. In addition, the recipes I made were quite versatile and flexible to substitutions. What I loved most about the collection of recipes is that they range from the very creative to the super simple. 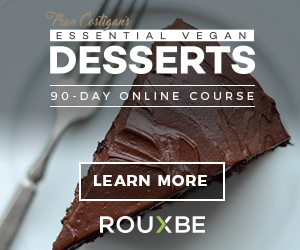 From the raw food basics like green smoothies, guacamole, and banana ice cream to the more nuanced dishes like mushroom caps stuffed with basil pesto, tapas salad, and street tacos, there are a plethora of meals just waiting to become staples in your kitchen. 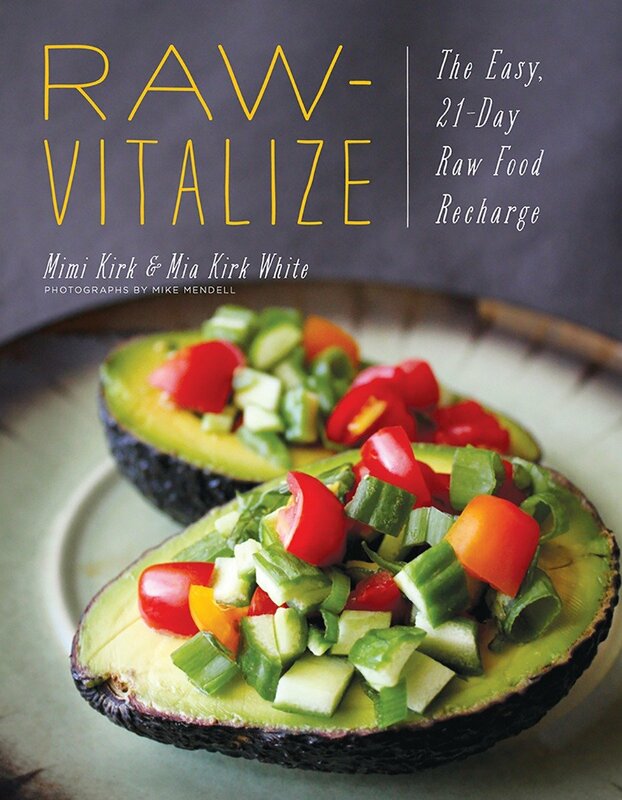 While there are so many creative recipes within Raw-Vitalize, they’re not difficult or time-consuming. They also require minimum equipment (no dehydrators here). The more artful recipes are great for those who love gourmet raw but are intimidated by the usual time investment or skill level. They’re packed with flavor and present beautifully, but they’re deceptively uncomplicated. I’m glad they don’t shy away from sharing simple ideas for meals and snacks, too. A pet peeve of mine is when someone gets upset that something is presented as a recipe, but it’s too easy to be designated as such. Honestly though, sometimes incredible food really is just snacking on an avocado that’s sprinkled with salt and pepper or blending up frozen bananas. You’d be surprised how many times I share easy ideas like this and people excitedly say, “I never thought of that before!”. I’ve found that people are much less intimidated by dietary changes when they realize they can riff off of simple ideas sometimes instead of always making elaborate preparations. Those with an appreciation for simple, beautiful food. 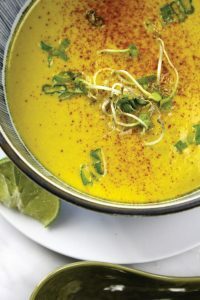 The folks at Countryman Press were kind enough to let me share one of my favorite recipes that I’ve tried, Creamy Thai Soup. I hope you enjoy this sneak peak into Raw-Vitalize! You won’t be disappointed with this creamy soup. In fact, this might become one of your favorite go-to meals when looking for an abundance of Thai flavor in one single spoonful. The extra crunch brings it all together, supplying additional nutrition. If you like a little extra spice, a pinch of chili pepper will do the trick. Add all the ingredients except for the optional toppings to a blender. Blend until smooth. Taste and add more salt if necessary. This soup likes to be a tad salty. Try this as a noodle soup! Spiralize zucchini noodles and cut them into 1-inch pieces to add to the soup. 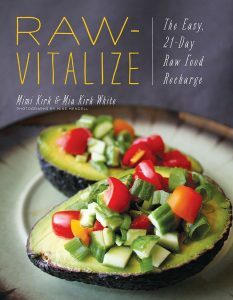 From Raw-Vitalize: The Easy 21-Day Raw Food Recharge by Mimi Kirk and Mia Kirk White, printed with permission from Countryman Press.